Founded in 2009, Green Man Cannabis is among Colorado’s premiere cannabis brands. They strive to achieve the highest levels of quality, selection, and customer service at competitive prices. 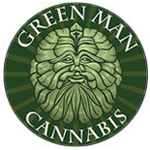 Green Man has knowledgeable caring staff, private parking, and a comfortable atmosphere that welcomes all types of patients. As firm believers in the medical benefits of cannabis, they employ people of like mind who strive to educate others on the numerous benefits and applications of this medicine. Cannabismo is a Canadian based medical cannabis mail-order company. CannaLUMA actively promotes and supports rational access for the safe and effective use of medical marijuana products, as a natural alternative, for healthy living and overall wellness; in accordance with California Regulatory Guidelines. 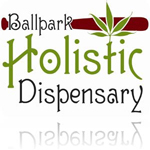 Ballpark Holistic is a full service dispensary offering a quality selection of MMJ, edibles, glass and smoking accessories. They only accept valid MMR Cards with current ID, and only serve patients over the age of 21. Temporary papers are not accepted.